Climbers on the crux corner of the third pitch. Heavily chalked holds are visible across the canyon. 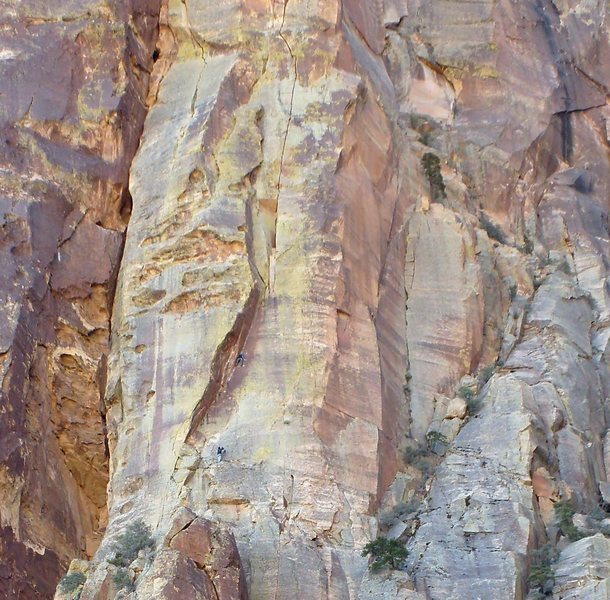 Larry D said "Heavily chalked holds are visible across the canyon."